Big Brothers Big Sisters of America matches kids with volunteer mentors in communities all across the country to help children realize their potential and build their futures. 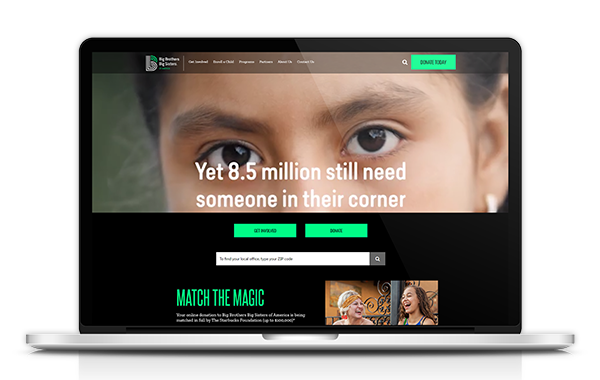 In 2016, they needed a website redesign and a new platform for their peer-to-peer fundraising event sites. And in 2018, they went through a rebranding to modernize their look and language to expand their reach and defend the potential of millions of Littles (children ages 5 and up) across America. Zuri Group has been proud to be Big Brothers Big Sisters’ technology partner for both the National office and their affiliates throughout all these changes. 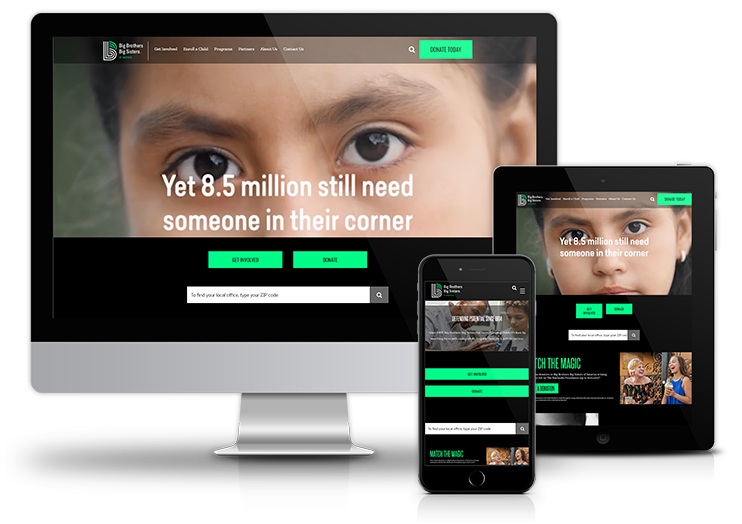 Two custom WordPress themes that are flexible, easy to use and easy to maintain- allowing Big Brothers Big Sisters affiliates to easily edit content, and customize the look and feel of their websites. Because of the flexibility of our code, new rebranding design elements were easily integrated– dramatically changing the look and feel of the sites, while keeping costs down. A custom set of Engaging Networks themes for their donation pages, ticketed events, and peer-to-peer fundraising events, providing a cohesive look across affiliates, while still affording each the flexibility to customize content. As with the WordPress themes, the flexibility of our code allowed for a dramatically different look and feel while significantly reducing rebrand implementation costs. A project isn’t always over when the website launches. Our Client Success Team is a group of dedicated solutions specialists – project managers, fundraising strategists, support staff, engineers and designers – that are always just a phone call or email away. 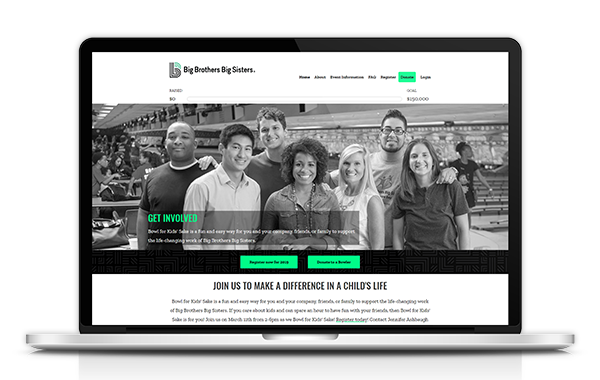 They made sure that Big Brothers Big Sisters affiliates would be supported from the kick-off call to the launch of their websites and fundraising event sites, and beyond. Learn more about their mission, the communities they serve, and find a Bowl For Kids’ Sake event near you at their website. That’s what we did for Big Brothers Big Sisters of America and over 60 of their affiliates– what can we do for you?